Because it is chip LED, it is difficult though I want to change the lamp into white or red. The bumper was cut down about 1mm.The chassis also cut down the memory and the interfered part. If it is IOdata ET-128M, it is not necessary to resolve it. However, it was not possible to buy it because of the production end. 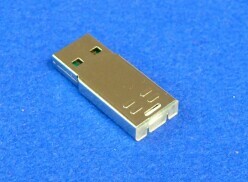 USB memory that looks like board. But externals do not seem to be USB.